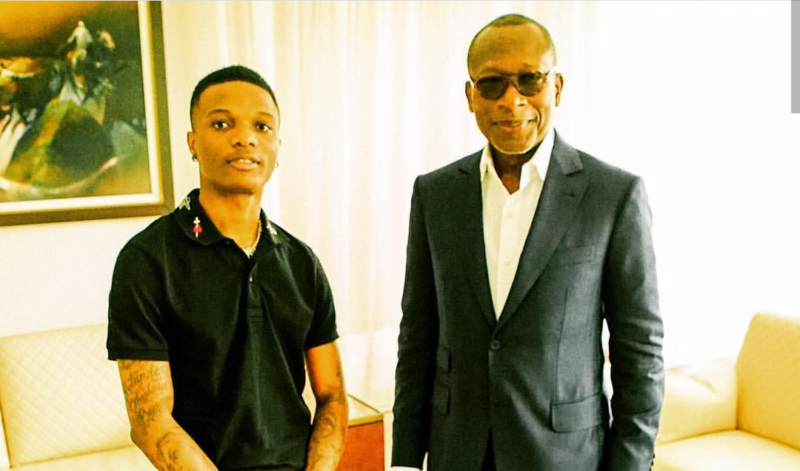 Wizkid Shares A Picture With President Of Benin Republic – Multiple award-winning Nigerian music star is living his best life and there is no doubt about it. The Starboy has dined and wined with folks in really high places. Most recently Wizkid was pictured with Mr Patrice Talon, President of Benin Republic. Wizkid has spent the past two days in Cotonou as headline artiste for Urban Vibes Festival. Wizzy shared the photo with the number one citizen of Benin Republic on his page a few hours ago.